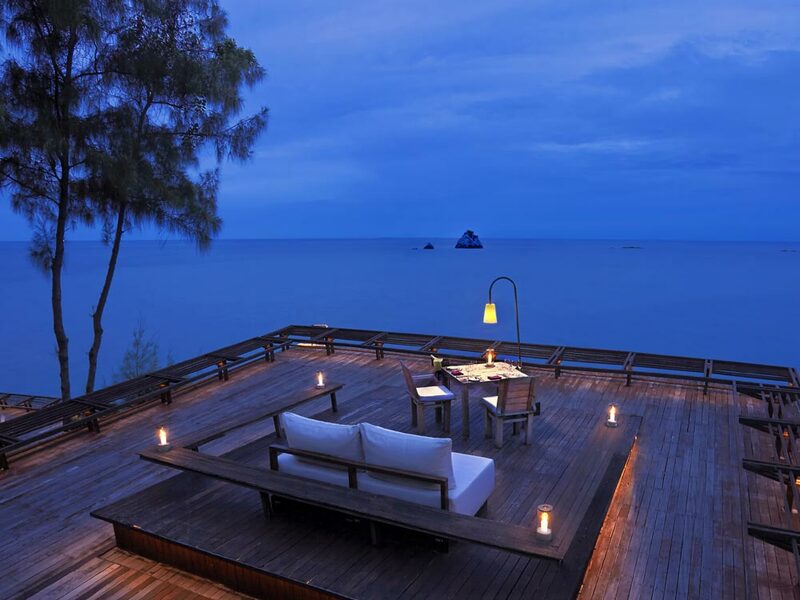 Thailand is the ultimate tropical playground for fun-loving families. It is sophisticated and safe, whilst offering fascinating diversity which means that kids of all ages will be wide-eyed at the opportunities on offer. From elephants in the north to islands in the south we’ve got family holidays in Thailand covered. A pit stop in bonkers Bangkok will give the children a flavour of what’s to come; it’s a bustling capital; filled with sights and experiences such as they’ve never known before. 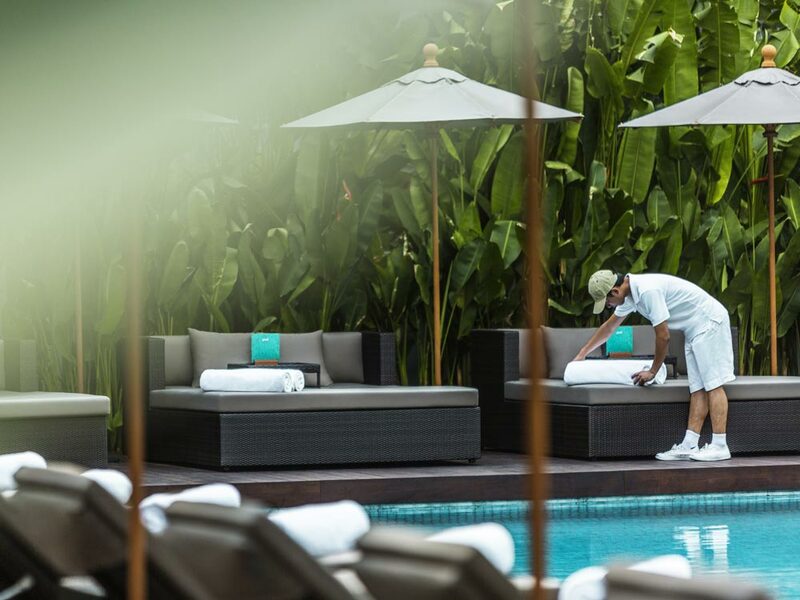 You’ll then jet off to Chiang Mai in the north to experience elephants and hill tribes amongst the verdant mountains before heading for the glorious beaches of Koh Samui, where you’ll relax whilst the rest of the team go paddle boarding, kayaking and generally splashing around in the pool. 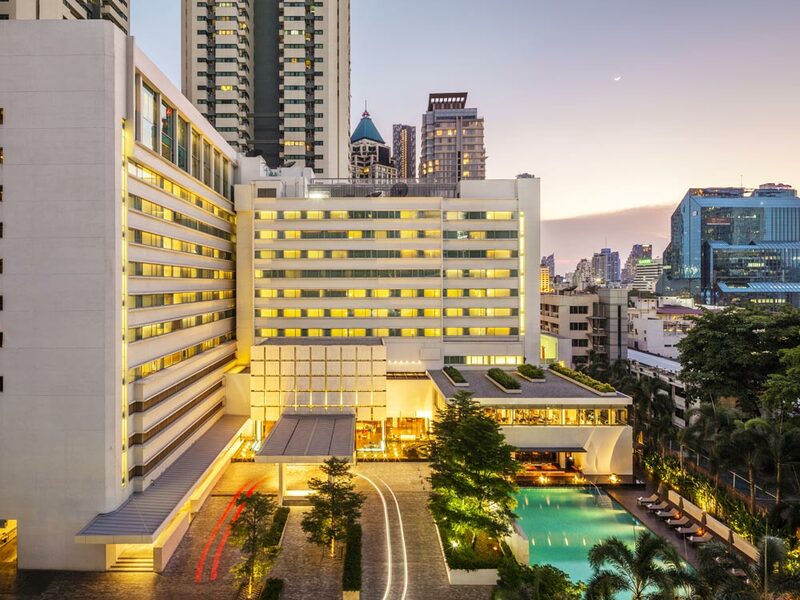 The frenetic energy of Bangkok is something to behold. 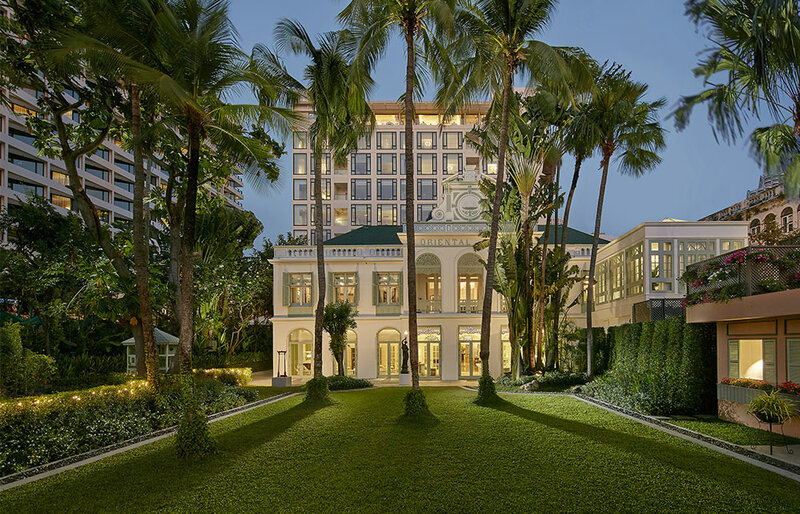 You’ll enter the city like superstars in your private car and will pitch up at The Siam, a sanctuary of serenity beside the Chao Phraya river. 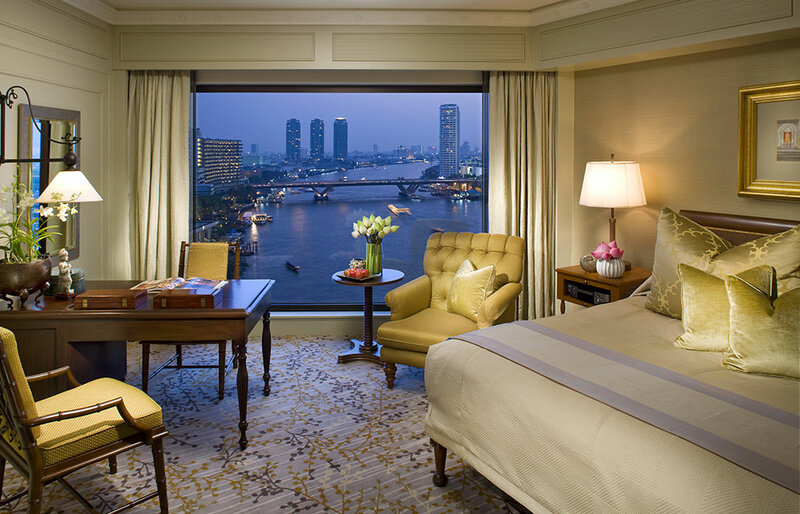 But as inviting as the cocoon of The Siam is, Bangkok is a city of wonders. 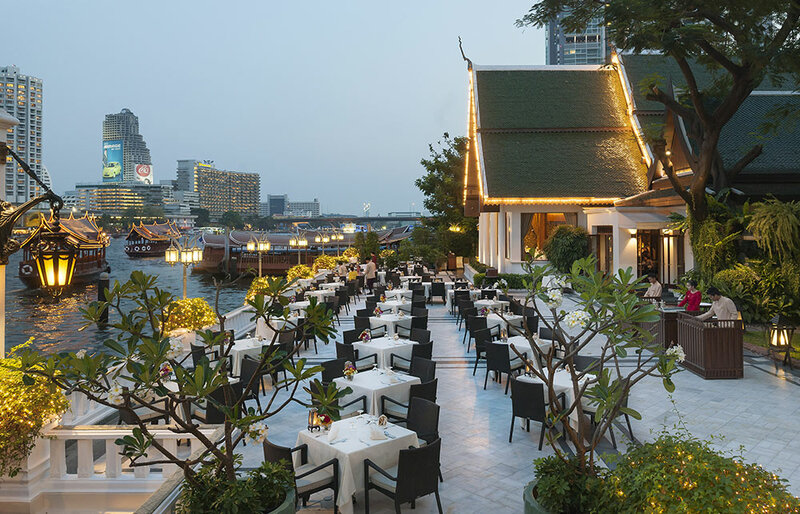 You’ll have a private family tour of the Grand Palace, go on a longtail boat adventure on the river and have time to explore Bangkok’s maze of markets and street stalls. Thailand’s remote northern culture capital is a treasure trove waiting to be discovered. The old walled city with its moat is home to a dizzying array of temples, museums and historic buildings. The city is on the move: youthful, vibrant and proud of its heritage. 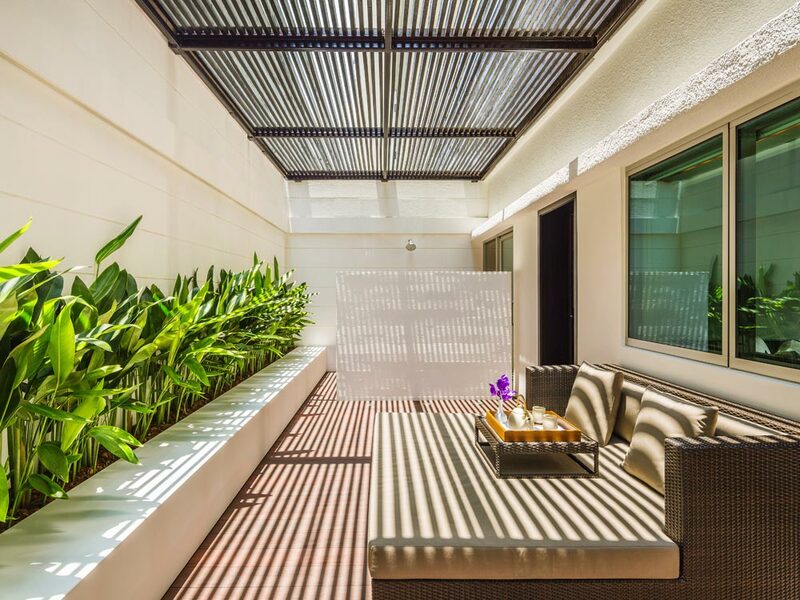 Your base will be the Anantara Chiang Mai and it is from here that you will venture out into the hinterland to meet mighty Asian elephants in their ethical hill country sanctuary. You will also go out on a trek on foot to experience the glorious countryside and might just have a chance encounter with some of the mysterious mountain tribes who still live in this far-flung corner of Thailand. 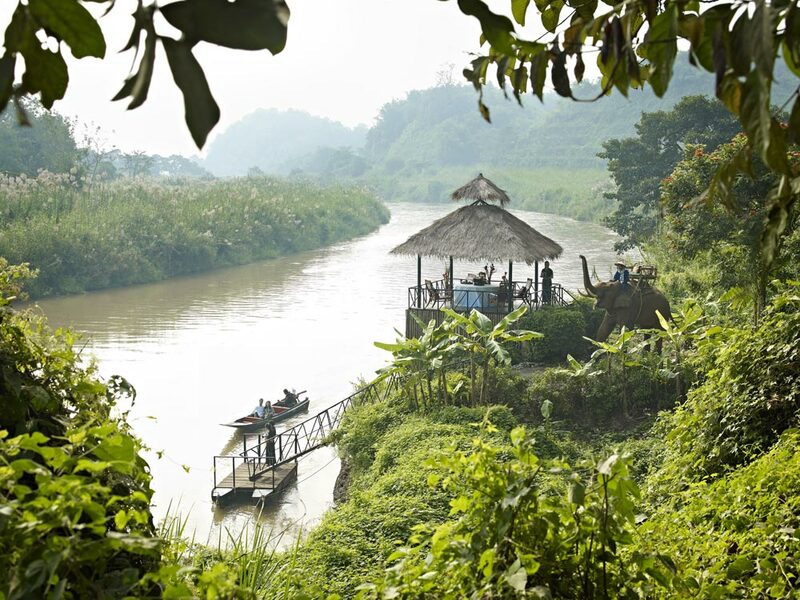 Experiential travel at its best, with spectacular views across Thailand’s Golden Triangle. Elephants live in a traditional mahout village. 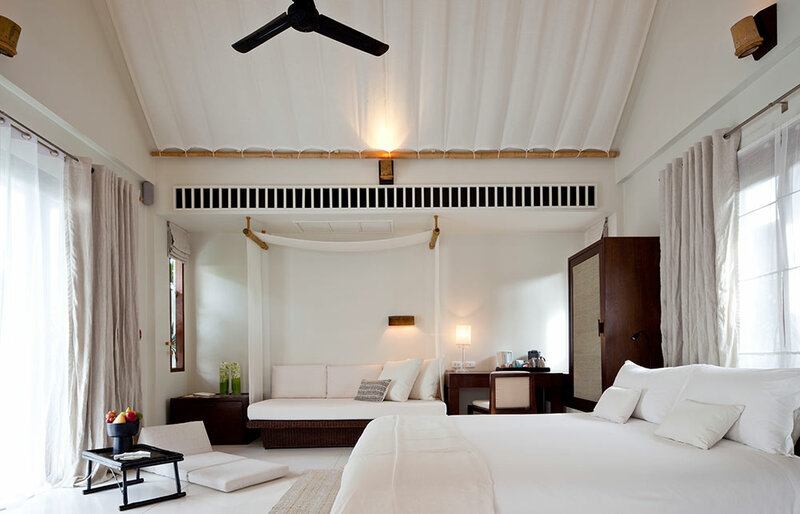 Elegant rooms with raw Thai silks and teak floors. Fabulous food and stylish evenings on the chic cocktail terrace. 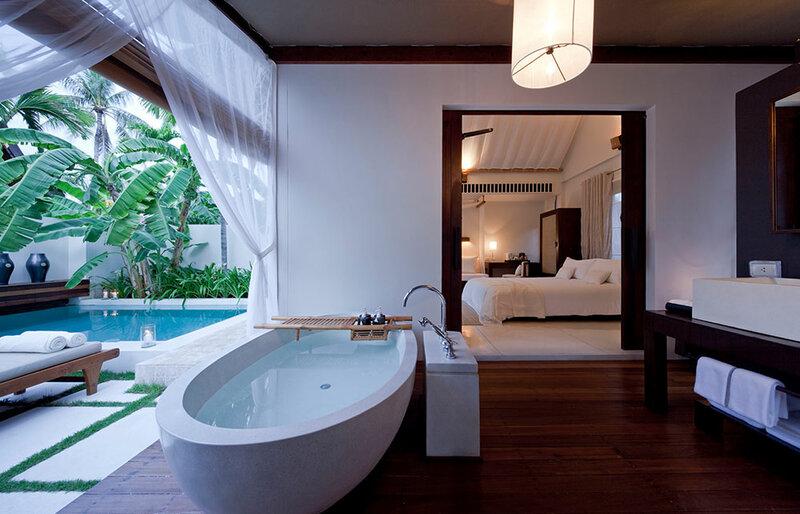 The paradise beaches of Koh Samui are the stuff of legends. You would be forgiven for thinking you’d spotted Leo Di Caprio down by the water’s edge acting out a scene from The Beach. 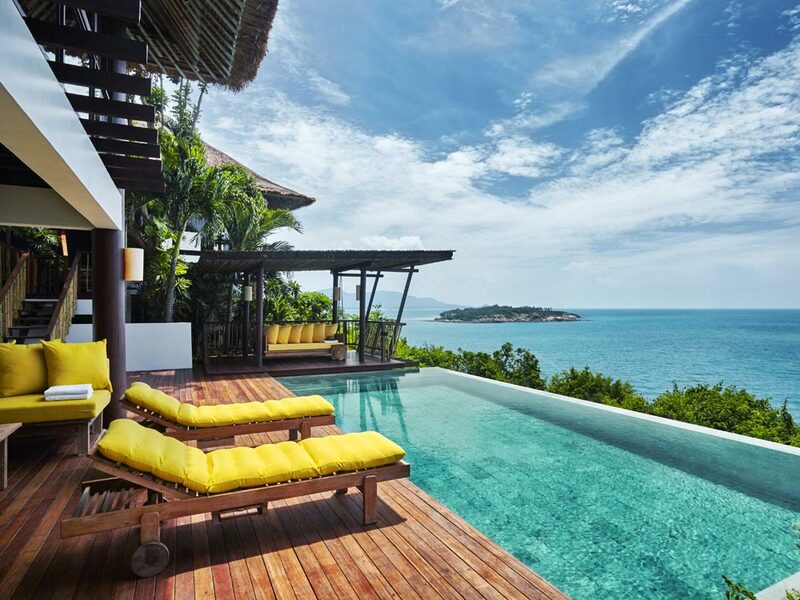 Your beachside bolthole is Sala Samui, which fronts a perfect banana-shaped bay. The youngsters will be in their element with two pools to choose from, kayaks and paddleboards available for use and two miniature islands close by to explore. 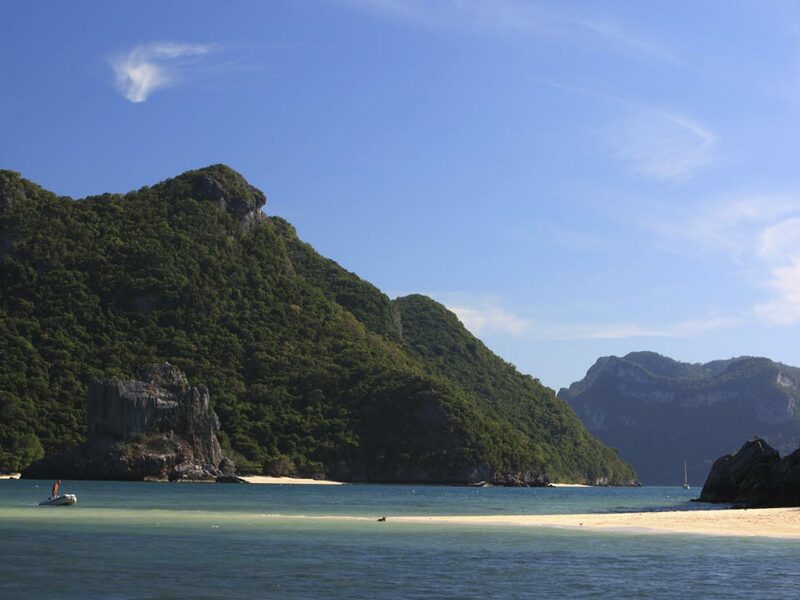 An outing to Ang Thong Marine Park, a couple of hours way by boat, will provide excitement and intrigue as you navigate your way among 42 James Bond style islands. This itinerary would typically cost from £2,800 per person inclusive of international flights staying in the specified hotels with the services of private chauffeurs and guides. The costs can vary based on season, room type and board basis. 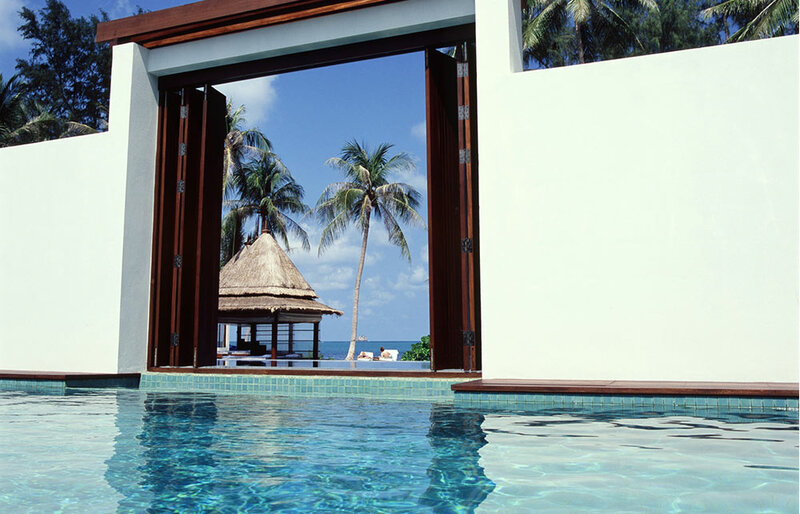 All our holidays are tailor-made and can be created around your budget.